Ever since security contractor Edward Snowden started leaking classified NSA documents last year the subject of what security agencies can and cannot find out about us has been on the forefront of many an agenda. Just recently, the U.S. President was forced to make a statement on the subject, clarifying what information its agencies were collecting about its own citizens, and now a new report claims that both the NSA and the UK’s Government Communications Headquarters, or GCHQ, can scrape data from the very apps we use on our smartphones. 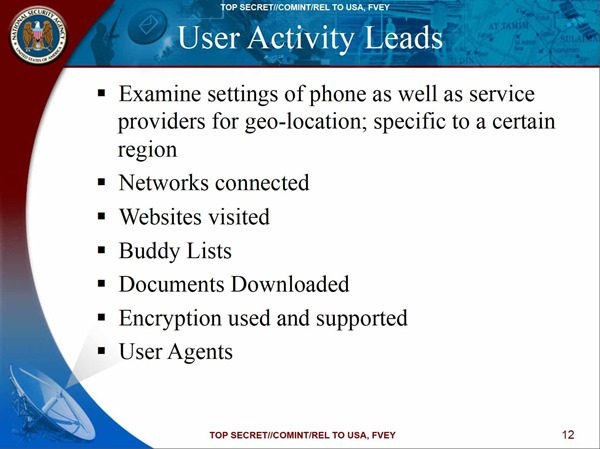 The information, once again courtesy at least in part of Snowden, claims that as early as 2007 Britain’s GCHQ was working with the NSA on the ability to collect and then store information that had been taken from smartphone apps. As the use of smartphones has skyrocketed since that time, it’s only probable that both agencies stepped up their work. Both have apparently now gained the ability to scrape data from apps as well as photos and videos uploaded to the mobile versions of sites like Flickr, Facebook and Twitter. As we become all the more eager to share everything we do, the abilities of international intelligence agencies will only grow. The scale and the specifics of the data haul are not clear. The documents show that the N.S.A. and the British agency routinely obtain information from certain apps, particularly some of those introduced earliest to cellphones. However, more recent apps, including the hugely popular Angry Birds series of games are also targets. Simple Android updates are apparently sending data over the airwaves that can at least potentially be intercepted by entities such as the NSA or GCHQ with a reported 500 lines of information being shared during a system update. 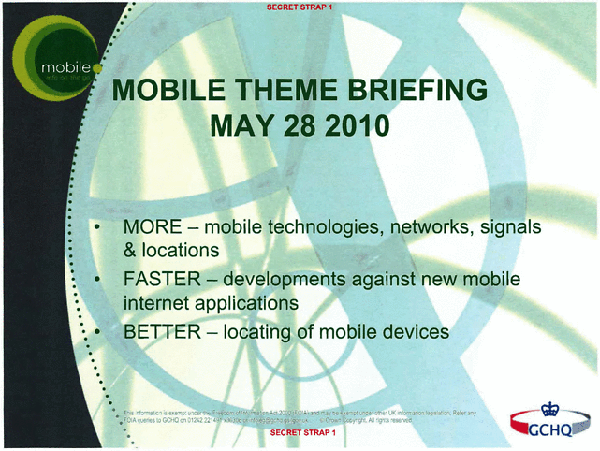 The scale of the surveillance which mobile users are under is unclear at this point, even with the leaks still coming. GCHQ says that everything it does is covered by UK law, but as we’ve learned in the past, such things can be worryingly elastic when it comes to government-run agencies both at home and abroad. With more leaks comes more information, but also more questions. We’ll possibly never really know what is being collected, with claims that ad agencies are also targeted. These companies arguably know the most about us, so it should come as no surprise that they are on the radars of intelligence agencies too. All that being said, we don’t think we’ll be hanging our smartphones up just yet.